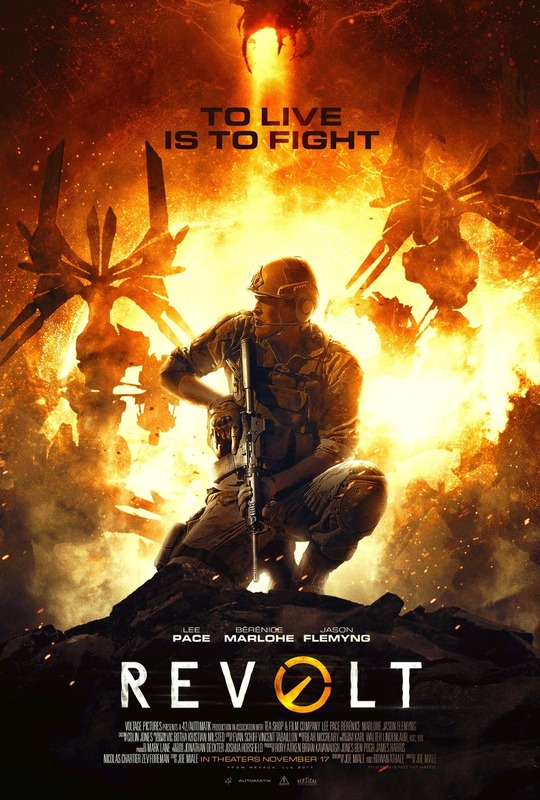 Revolt DVD and Blu-ray release date was set for December 26, 2017 and available on Digital HD from Amazon Video and iTunes on November 17, 2017. A U.S. Soldier is stationed far from home when an Alien Invasion occurs. With little understanding of alien technology, he puts aside his own safety to join a seemingly unwinnable fight against these unknown adversaries. Forming a rag-tag team with other warriors, the soldiers pull together their efforts and resources to destroy the alien threat, after having learned about the devastation all across the Western world and Asia. Their last-stand battle will determine whether or not they can discover a weakness to exploit on their alien enemies.